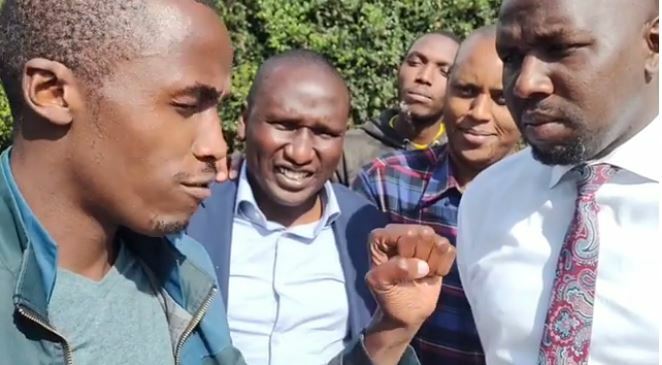 Apparently, Elgeyo Marakwet Senator Kipchumba Murkomen was under duress when he made a bet with comedians Propesa for the Everton versus Gor Mahia friendly match. As you probably already know, the former English Champions outclassed the 17-time Kenyan champions as they strolled to a 4-0 win at Goodison Park to clinch the SportPesa Trophy on Tuesday evening. It proved to be a disappointing outcome for a much-hyped clash that had some K’Ogalo fans hoping for a miraculous upset. One of those fans was the Senate Majority Leader Kipchumba Murkomen who just five days before the clash had struck a bet with Propesa. He had pledged to donate balls to ten schools of Propesa’s choosing should Everton win. But shortly after the Everton mauling of Gor Mahia, Senator Murkomen released a video statement disowning the bet. Being a learned friend, he argues that he was ambushed and coerced, and therefore, under duress. Watch that hilarious statement below.